LUMBERTON — State Rep. Charles Graham says he is not going to support any proposal that would require Robeson County residents to pay tolls to use Interstate 95 — no matter how minimal they might be. The North Carolina House voted unanimously to ban tolls on any existing interstate highway, which would end the state’s plan to toll Interstate 95. While it might be a tad premature to say the proposal to toll Interstate 95 is dead, state Sen. Buck Newton said this week the plan appears to be on life support. The battle against tolling proposals in North Carolina is being waged on many fronts. Earlier this month, four state lawmakers filed a bill to prevent tolls from being levied on existing interstates unless OK’d by the North Carolina General Assembly in addition to the required permission from the U.S. Department of Transportation. It appears that the opponents of Virginia’s plan to put tolls on Interstate 95 have won the battle, and we’re glad to hear it. After more than a year of protests over the prospects of tolling to pay for much needed improvements to Interstate 95, the conversation has turned in a more positive direction. 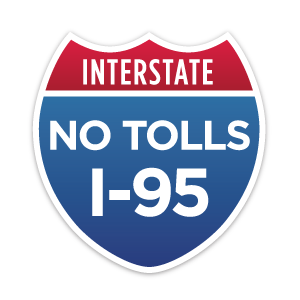 N.C. Sen. Buck Newton and Rep. Jeff Collins each filed a bill last week designed to block the tolling of Interstate 95. State leaders are moving away from a proposal to toll Interstate 95 as they undertake a 25-year comprehensive study of the state’s transportation needs. A coalition of business owners who are staunchly opposed to the concept of tolling Interstate 95 are confident they have the N.C. General Assembly on their side. While prospects for operation of more North Carolina toll roads are rightly dimming, the N.C. Department of Transportation is about to waste another $1.6 million assessing the economic impact of tolls on Interstate 95.